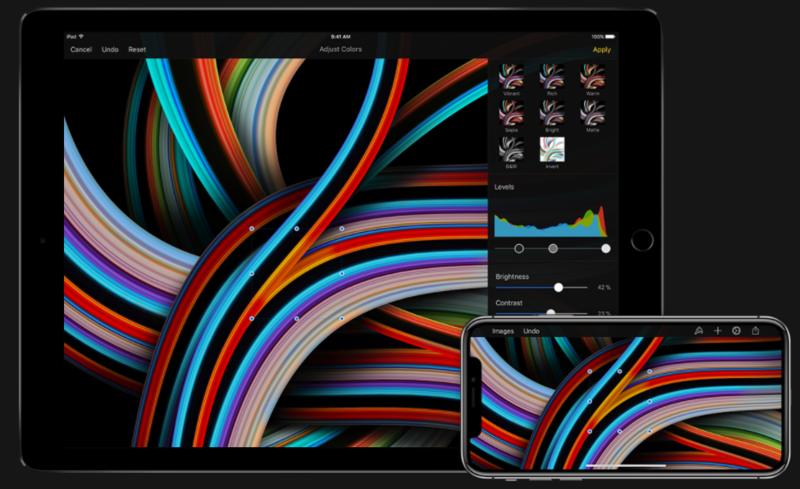 Pixelmator Pro, the famous image edit app for Mac, has been updated bring new features a couple of days ago. The update is mainly to add support for portrait mask on iPhone. Photos taken in portrait mode with iPhone (iOS 12) will be imported along with the depth data in a separate layer mask, allowing the user to edit the photo background or even completely change it. This feature is currently only available in Pixelmator Pro and needs to be updated for download in the Mac App Store. Currently this feature is only available in Pixelmator Pro, which can be downloaded from the Mac App Store. Besides, Pixelmator for iOS has also been updated with the support added for iPad Pro screen and double click gesture for Apple Pencil 2. If you set the eraser as default, it will enable the eraser. The double click gesture is default in the global settings of iOS. Users can purchase the updated version 2.4.4 from the App Store, and those who have purchased it before can directly get the update. – Support added for the new iPad Pro and Apple Pencil and many bugs fixed. – Support added for double click gesture of Apple Pencil. – Interface optimized for the latest iPad Pro. – Bugs of Noise, Hue, and Miniature and Hue effects not supporting photo extension fixed. – Bugs of canvas centering in apps and Pixelmator Photos extension fixed. – Bugs of clicking a selection outside of the original layer boundary after selecting and moving the selection resulted in the deselection of the layer fixed.